"We always say Paris, Rome or London was not built in a day. How many years have Honda, Yamaha, Suzuki, now Ducati, been in this championship? It's only been two years, with two riders, for KTM," he said. 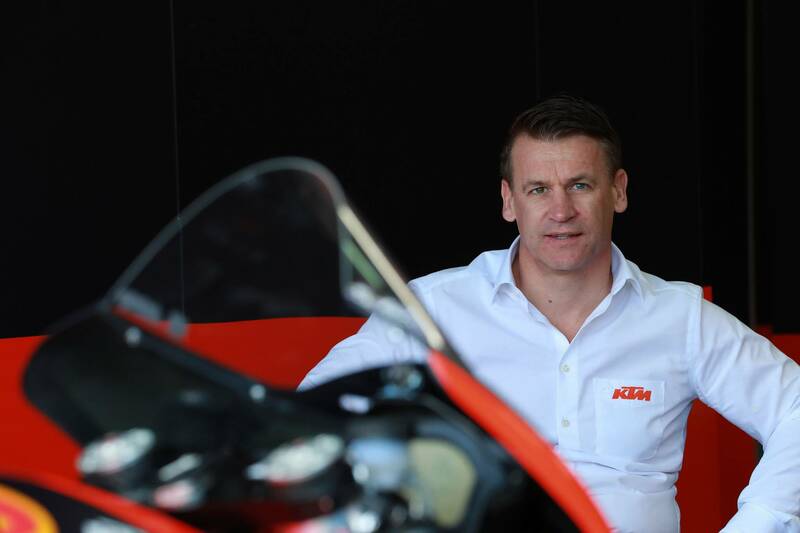 "KTM has improved a lot, but also everyone else keeps improving. So you have to improve quicker than the top guys to reduce the gap. "But I believe the riders they have now, not simply growing from two to four, are also quite complimentary. The most important thing is to keep everybody calm, motivated and feeling part of a project." Tech3 has certainly been made to feel part of KTM, with Poncharal highlighting the efforts made by the Austrian factory's motorsport director Pit Beirer. "Our life is our work and when you spend this amount of time together you need people that are accessible, share your values, have common points of view and targets. As we've discussed many times before, I always try to build a 'family' atmosphere because human relationships are very important. The older I get the more important they are. "Pit is the head of motorsport at KTM. He is a person I admire a lot. You can feel the passion, the will, the desire - sometimes too much because he wants everything now! Also he has been a very successful [motocross grand prix] racer. So racing is in his DNA. He is a rider, a sportsman. "The first thing Pit did on Tuesday morning at the Valencia test was to come to our garage. He asked everyone in the team to be there and made a speech," Poncharal revealed. "Pit said 'there will be four full-factory KTM bikes on the grid next year. There will not be less engines, less RPM, or less this and that for Tech3. All we want is for KTM to win. It doesn't matter if it’s a Tech3 or factory team bike. We don't care'. "It was a really good speech and my guys were really fired up." After a year in which Yamaha's Japanese management was called into question due to a record losing streak, Poncharal also found the KTM structure much clearer.